A famous Moor Herbal Bath is nature's truly luxurious treats. For Professional & Home Use. NOTE: This is NOT a face mask - but a herbal - Moor body bath. The water-soluble nutrients in the Moor create a soothing and purifying effect for the whole body. Take a Moor bath for a relaxing re-invigorating bathing experience. Reduces fluid retention. - Has potent anti-inflammatory & detoxifying properties. - Used at clinics in Europe as an aid in the treatment of many chronic conditions including, arthritis, muscular aches and pains, psoriasis, fibromyalgia and many more. The statements and products shown on this website have not been evaluated by Health Canada or the U.S Food and Drug Administration, and the material provided is strictly for information purposes only. This product is not intended to diagnose, treat, cure, or prevent any disease, and it should not be used by anyone who is pregnant or who has a serious medical condition. Those seeking treatment should consult a qualified physician prior to using our products. PRICE: C$4.90 - RETAIL: C$6.90 - 100 mL (travel-size bottle). The famous Moor Herbal Bath is one of nature's truly luxurious treats. The water-soluble nutrients in the Moor create a soothing and purifying effect for the whole body. 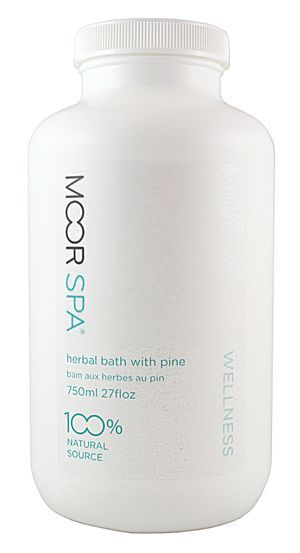 Take a Moor bath for a relaxing, reinvigorating bathing experience. Run a warm bath and stir in 1 sachet or 6oz of the Moor Bath paste. Make sure that the bath is not too hot (max 38oC). Relax in the bath for up to 20 minutes. After the bath, do not rub down, but wrap the body in a large towel and lie down for one hour in a warm room. When draining the moor bath, stir the water periodically. May be used safely in hydrotherapy tubs and jacuzzis - flushing out jets after use is recommended. Manual exfoliation is recommended prior to taking a moor bath. - Used at clinics in Europe as an aid in the treatment of many chronic conditions including arthritis, muscular aches and pains, psoriasis, fibromyalgia and many more.